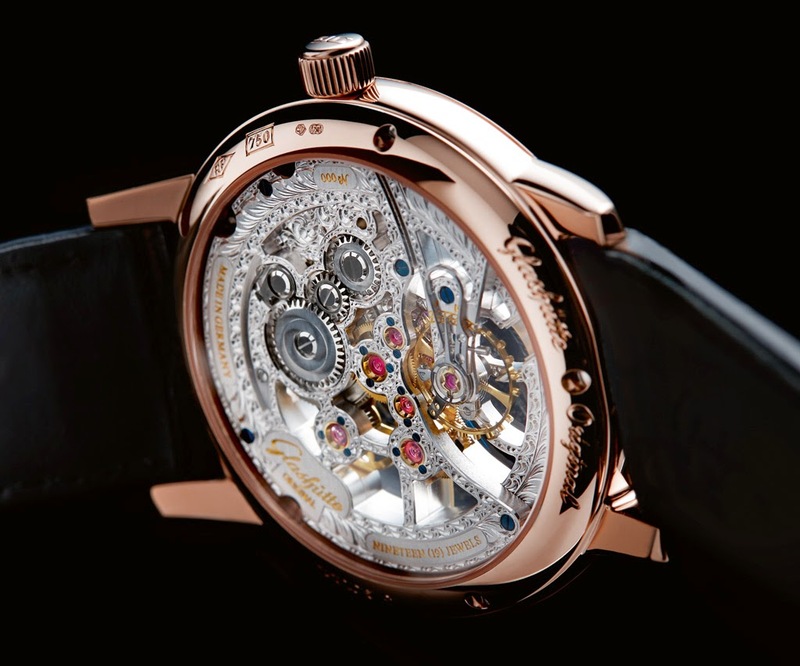 The perfectly polished red gold case of the latest Glashütte Original creation, the Senator Manual Winding Skeletonized Edition, frames a masterfully skeletonized manual winding movement. 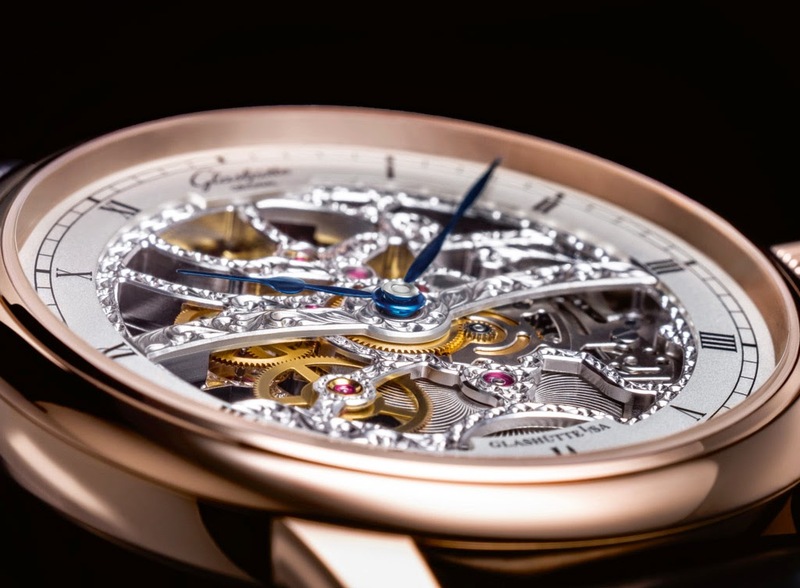 Engraved by hand, this movement is based on the firm’s own Calibre 49-18 and beats at 28,800 vibrations per hour with a power reserve of 40 hours when fully wound. The galvanized silver, skeletonized dial is enhanced by a black railroad minute ring and finely drawn Roman numerals with two elegant blued hour and minute hands to indicate the time of the day. 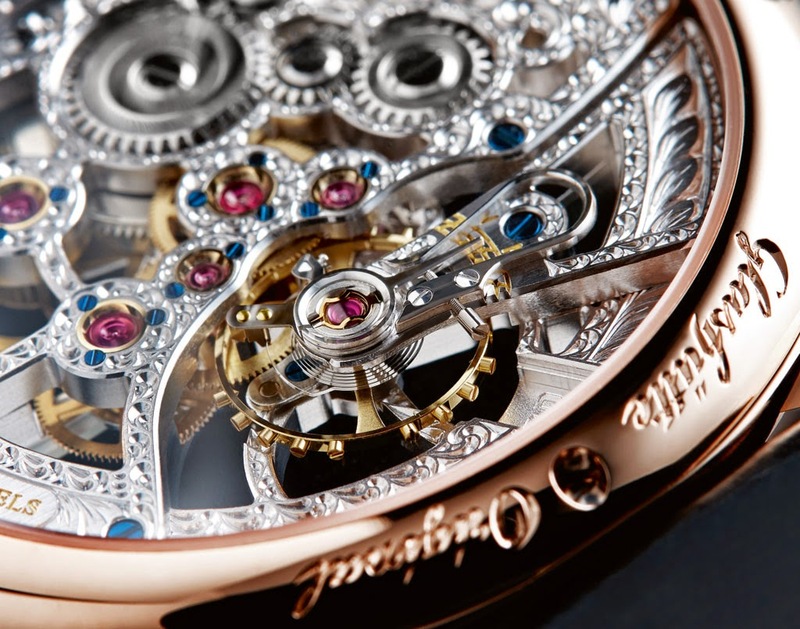 The filigreed work of art is protected on both the dial side and the caseback by antireflective sapphire crystals which offer the wearer an exceptional view of the movement’s meticulously finished components and artful engravings, including the winding wheels with double-sunburst decoration, the screw-mounted gold chatons with blued screws, or the hand-engraved plates and the lavishly finished swan-neck fine adjustment. 42 mm in diameter with a height of 9.5 mm, the case is water resistant up to 5 bar. 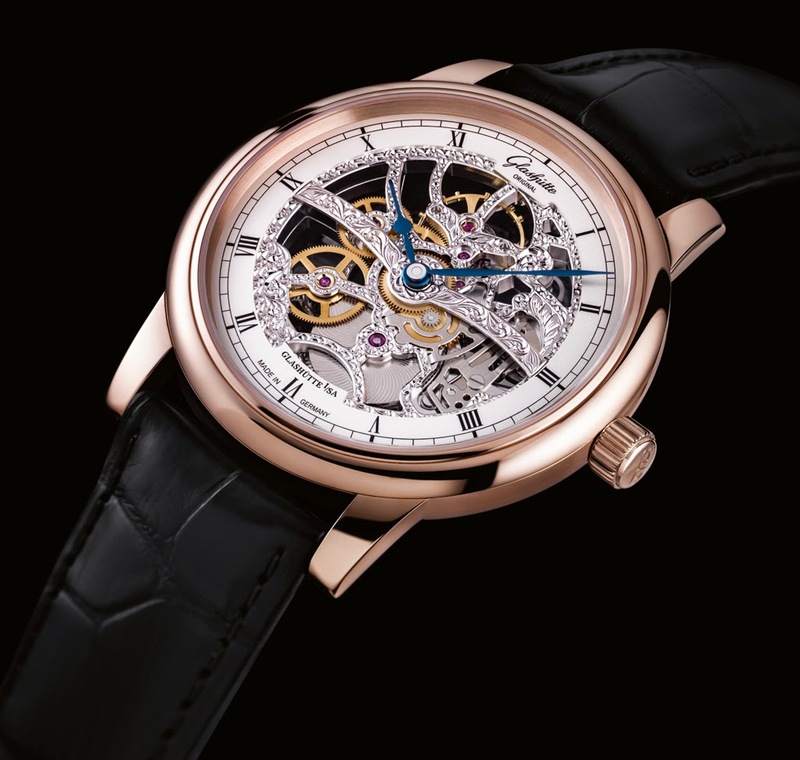 The Glashütte Original Senator Manual Winding Skeletonized Edition is fitted with a matt black Louisiana alligator leather strap with fold over clasp in red gold. 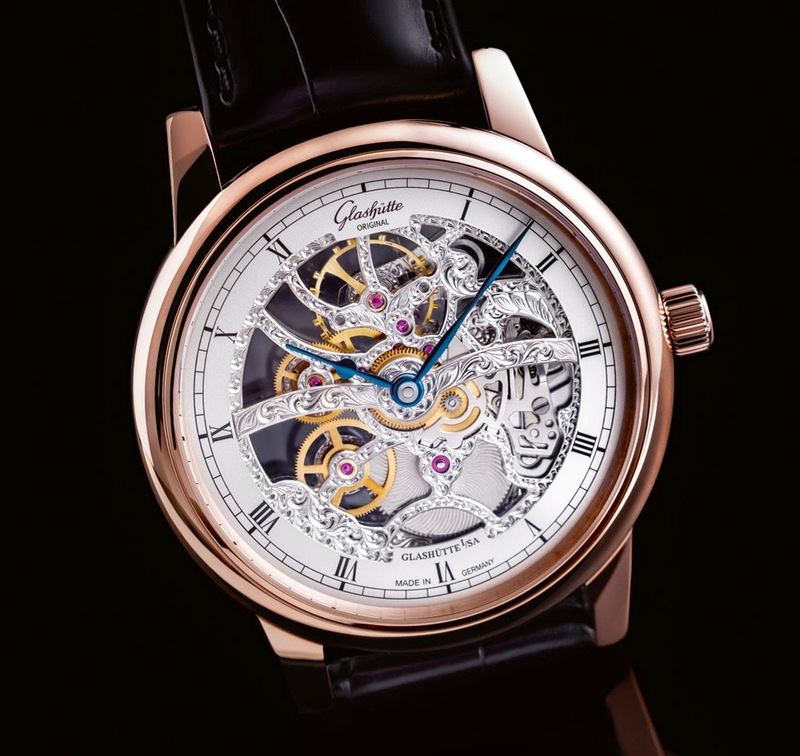 The perfectly polished red gold case of the latest Glashütte Original creation, the Senator Manual Winding Skeletonized Edition, frames a masterfully skeletonized manual winding movement. 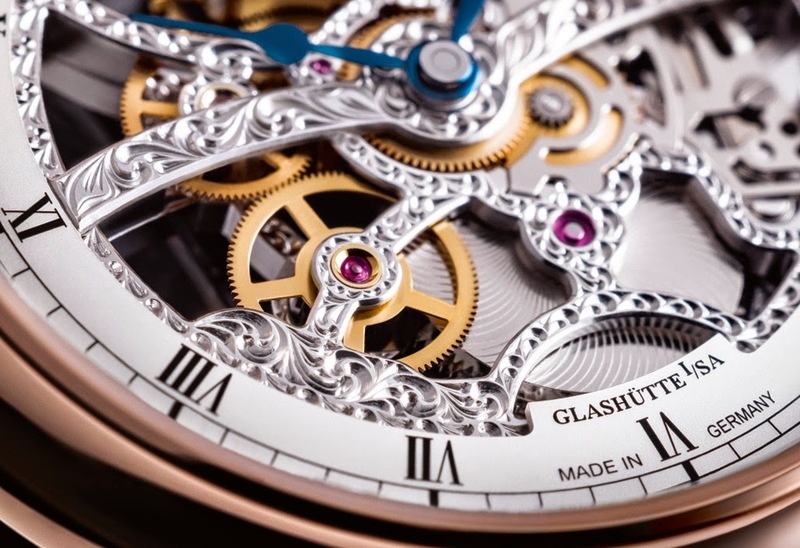 Engraved by hand, this movement is based on the firm’s own Calibre 49-18 and beats at 28,800 vibrations per hour with a power reserve of 40 hours when fully wound. 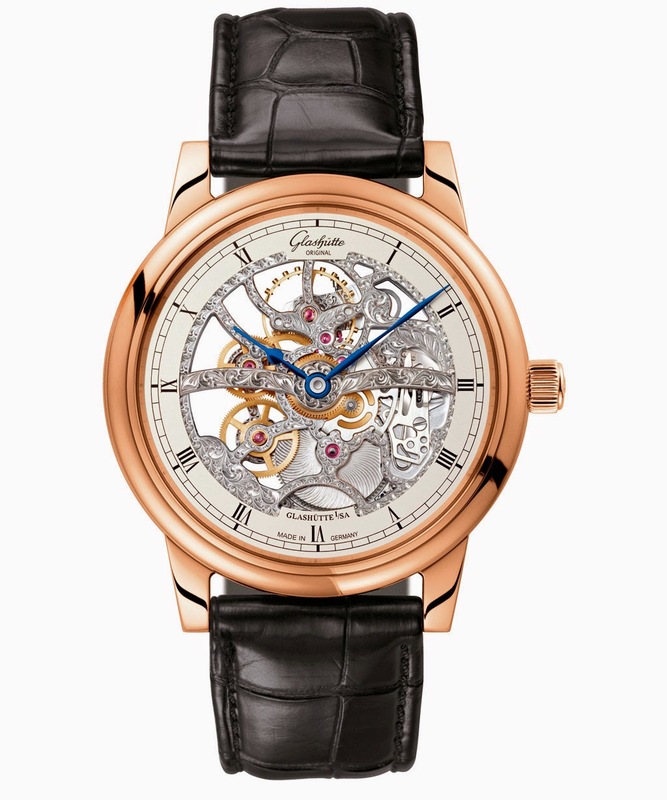 The Glashutte Original Senator Manual Winding Skeletonized Edition is fitted with a matt black Louisiana alligator leather strap with foldover clasp in red gold.